PORT MORESBY: Opposition Leader, Don Pomb Polye has sent his condolences to the family of the late military doctor, Lieutenant Colonel Mathew Kasap. The late doctor was recognized for his services to the military in the 2016 Independence honours awards. “The late doctor Kasap has served with distinction and I salute him for his contribution,” said the Opposition Leader. “But what saddens me is that he collapsed at the Government House while waiting to be awarded a medal for his services to the country,” said Mr Polye. “I am lost for words as the late doctor fell few minutes short of being rewarded,” said Mr Polye. He further described this as a “sad situation” for the immediate family members. The Opposition Leader also extended his condolences to the family, the relatives and the tribesmen of the late doctor. He questioned why such dedicated servicemen among other hardworking Papua New Guineans are not recognized or rewarded at the earliest. 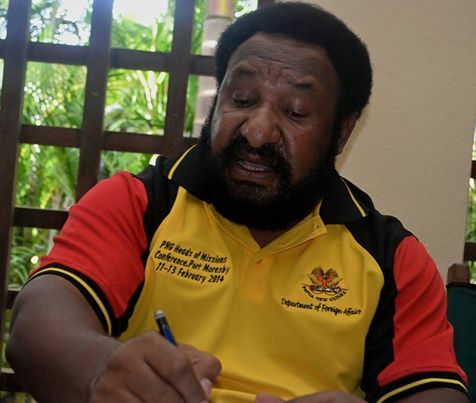 “These hard-working Papua New Guineans need to be identified at the earliest and rewarded accordingly and NOT until when it’s almost late,” said Mr Polye. “With respect to noble and hardworking Papua New Guineans that get rewarded, the awards list is just another fancy title for the boys, full of names of questionable politicians and their cronies, some of whom do not deserve to be knighted,” said Mr Polye. Mr Polye said the trend of issuing titles to politicians and their cronies must be stopped or the criteria be changed to suit hardworking Papua New Guineans who deserve this by merit. Mr Polye warned that awards system may lose credibility and integrity if we continue to politicize it.